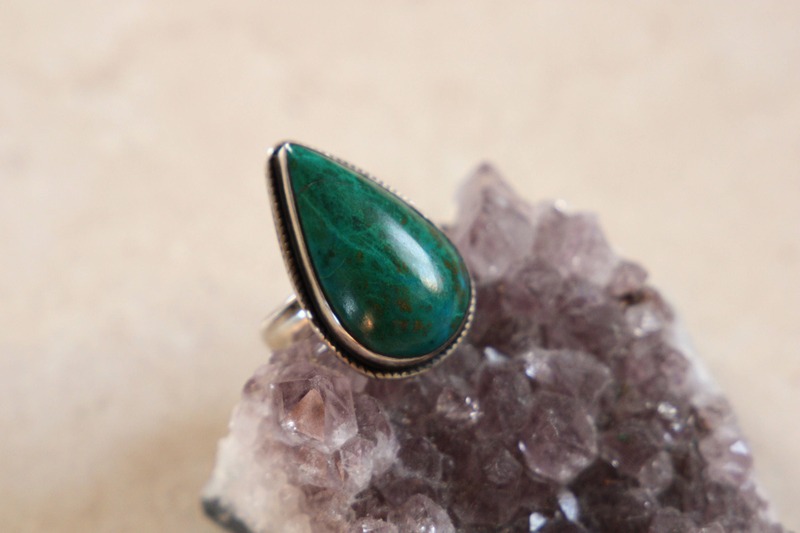 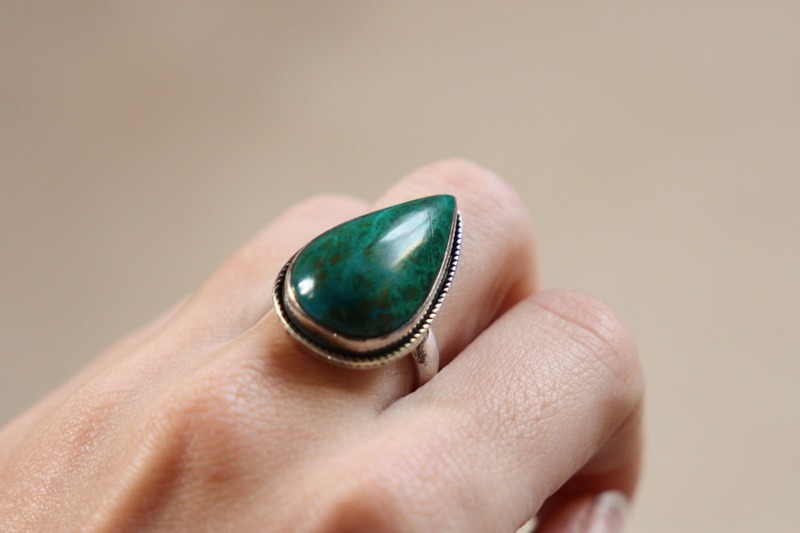 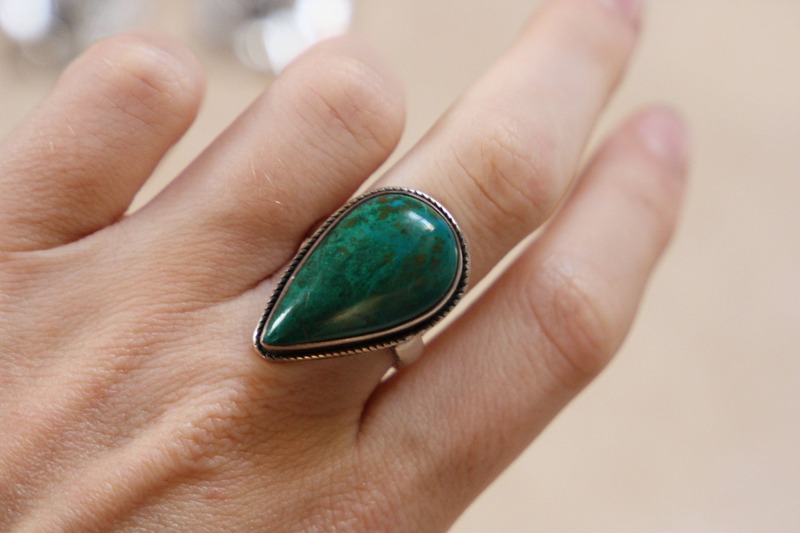 This beautiful teardrop chrysocolla ring is simply perfect, it has beautiful bold and rich colours wth an antique and vintage feel to it. 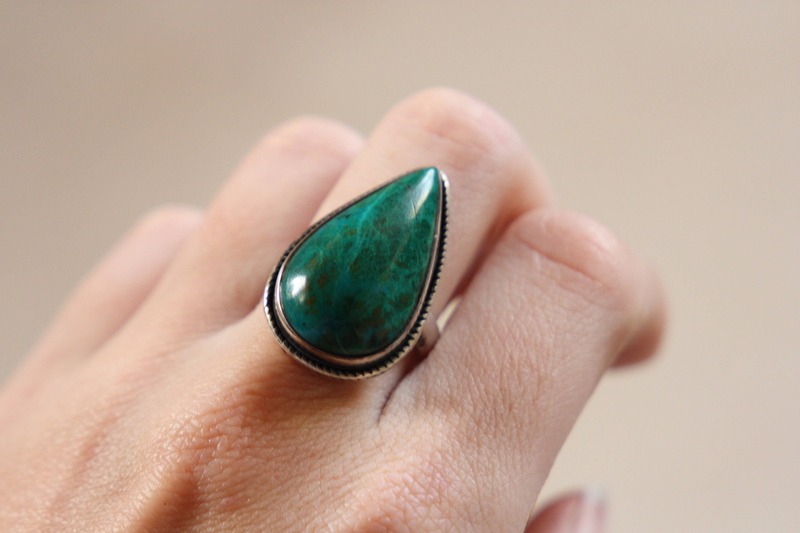 Chrysocolla is a stone of harmony used to remove negative energies, fear, guilt and anxiety. 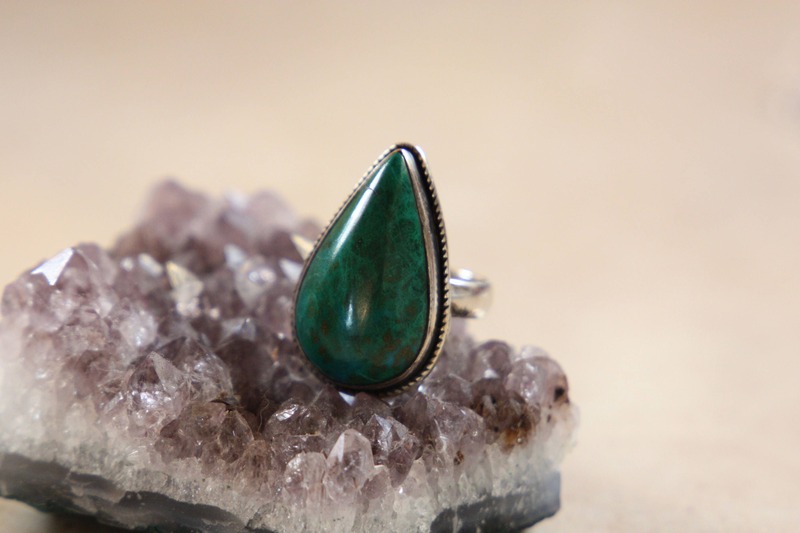 Linked to the throat chakra it helps to remove blockages in the throat aiding clarity and mental stability.